Gjahella 4, 221 Hafnarfjordur, Iceland. Umsókn um atvinnu hjá Héðni. 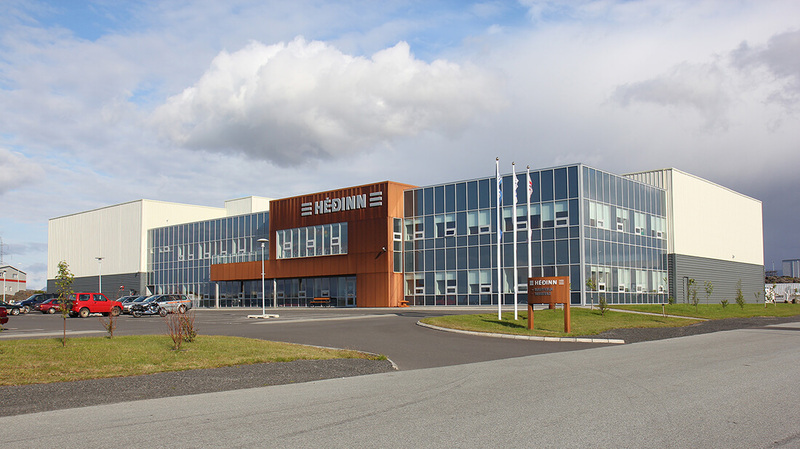 Hedinn was established in Reykjavik in 1922 and builds mainly on its deep-rooted relationship with Icelandic fisheries. Additionally, Hedinn serves a number of heavy and light industries. Hedinn operates mechanical engineering and steel fabrication departments, with technical engineering at its core, investing heavily in R&D, employing a workforce of around 120. Hedinn is a private holding company, owned by its founder’s families and management. The company’s headquarters span some 8,000 square meters on a 22,000 square meter lot at the industrial site in Hafnarfjordur town. Hedinn also has service centers at the Grundartangi industrial site and in Norway.